Hino Tipper buyers are spoilt for choice – from the smallest light duty 300 Series standard cab 616 IFS, the 300 Series wide cab 917 Factory Tippers and up to the big medium duty 500 Series Factory Tipper – the Hino Built To Go Tipper range is broad enough to suit the needs of landscapers, builders, construction tradespeople and local councils. The gutsy 300 Series 616 IFS standard cab starts the ball rolling with car-like dynamics, thanks to its independent front suspension and smooth gearbox options. It can haul an impressive 1.9 cubic metres of sand, soil or stone without hesitation, thanks to Hino’s efficient and powerful 4.0-litre engine. The wide-cab 616 and 617 make ample use of the extra chassis width, carrying 2.1 cubic metres, while the 716, 717 and 917 powerhouses can carry an immense 3.0 cubic metres. For more information on the built-to-go Hino range, contact Orange Hino today. 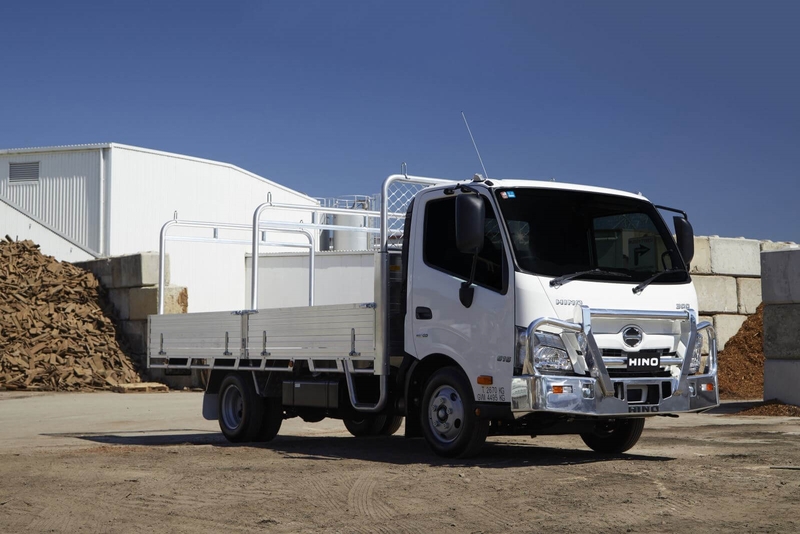 Built ready for work, the Hino range of 300 Series "Built-to go" TradeAce models provide light-duty truck buyers with a cost effective truck and body solution. 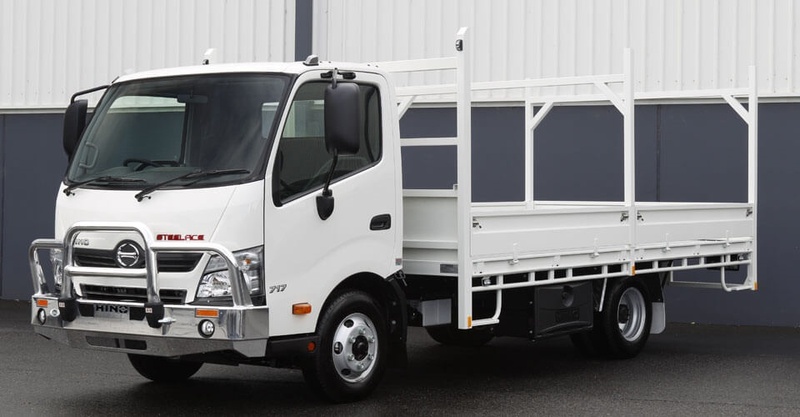 Available in both standard and wide cabin variants, the Hino 300 Series TradeAce is factory fitted with Hino's genuine alloy tray body (complete with ladder racks) and genuine Hino alloy bull bar (wide cabin model), in addition to the Hino 300 Series' already extensive list of equipment. 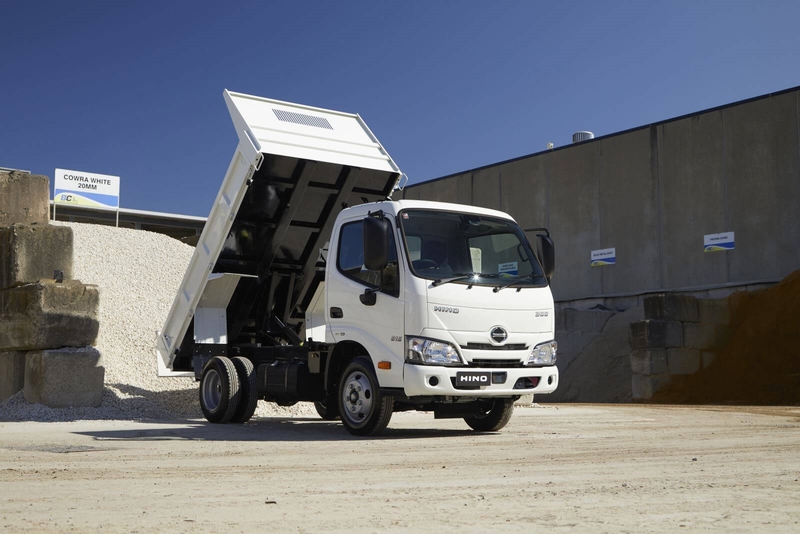 Built ready for work, the Hino range of 300 Series "Built-to go" SteelAce provides a simple and cost effective driveway solution for light duty truck buyers who require the versatility of a light duty truck, combined with the strength of a steel tray body. Available in cabin variants, the Hino 300 Series SteelAce is factory fitted with Hino's genuine steel tray body (complete with ladder racks) and genuine Hino alloy bull bar, in addition to the Hino 300 Series' already extensive list of equipment. Want to know more about the Hino Built To Go? Give the Orange Hino Sales Team a call at Orange - 02 6363 9911 or Enquire Online. Get the very latest brochure on the Hino Built To Go. Experience the Built To Go yourself, book a test drive online.